We know, we know: you partied too much in the festive season, and now you’re all “detox, yoga, no drinking for the month of January” etc, etc, etc. We’ve heard it all before. We applaud your new-found sense of health & fitness, but that’s no excuse for staying indoors and being boring. Therefore we present to you this list of what there is to do in the city in January. Because this is Amsterdam, and the fun never stops, not even for your New Year’s Resolutions to drink more water this year/save more money/stop cursing. Let’s start making or breaking your resolutions now shall we…..
Why in god’s name eat less when this weekend brings an indoor food truck festival called Food Parade?!?! Three days of indoor food, music, theater and DJ’s. If you are feeling that guilty about scarfing 10 different dishes within one hour, then just stay there and dance the calories away. Problem solved. Free entry until 8 pm, and after that it’s 10 euro. 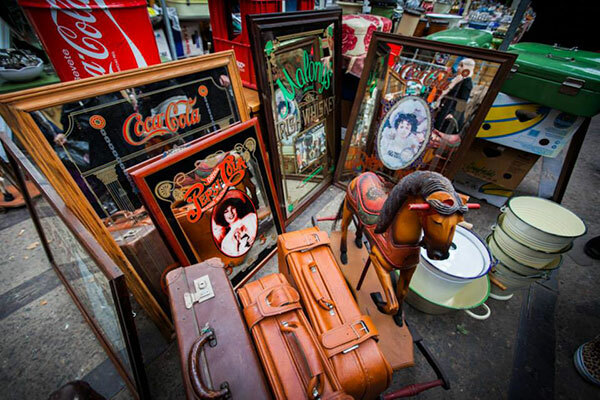 The Ij-Hallen, the self-professed “largest flea market in Europe” is once again on this weekend. You’ll find things you never knew you needed, or just HAD to HAVE. So you know all that money that you saved last week? Good job! Now go spend it on a table lamp shaped like a dancing poodle. Open from 09:00 to 16:30 on Saturday and Sunday. Not quite a lecture, not quite art, not quite performance, not quite philosophy…but sort of a little of all of that. Confused? 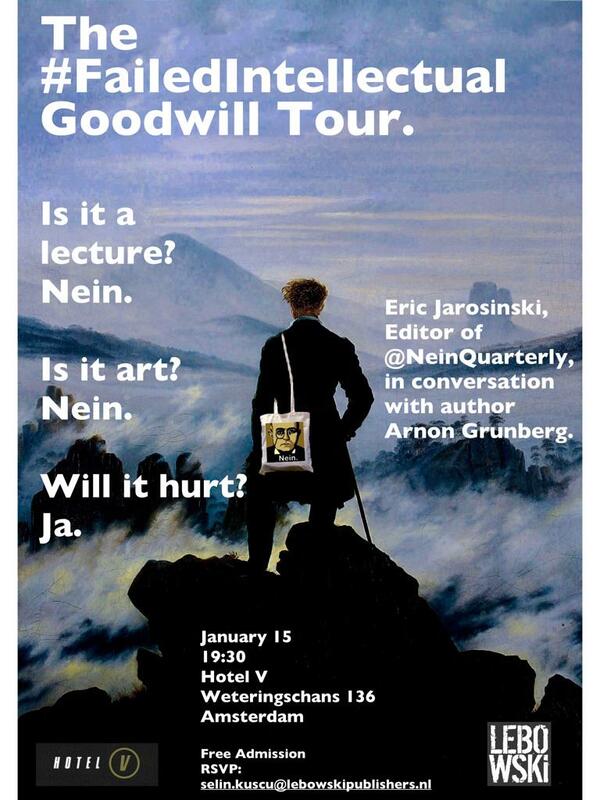 So are we, so we are really looking forward to this public discussion in the lobby of Hotel V Frederiksplein between Nein Quarterly editor Eric Jarosinski and Dutch writer Arnon Grunberg. Hosted by our friends at Lebowski Publishers, this is sure to be an interesting evening that will stretch your brain powers. RSVP soon to selin.kuscu@lebowskipublishers.nl because it is nearly booked full! 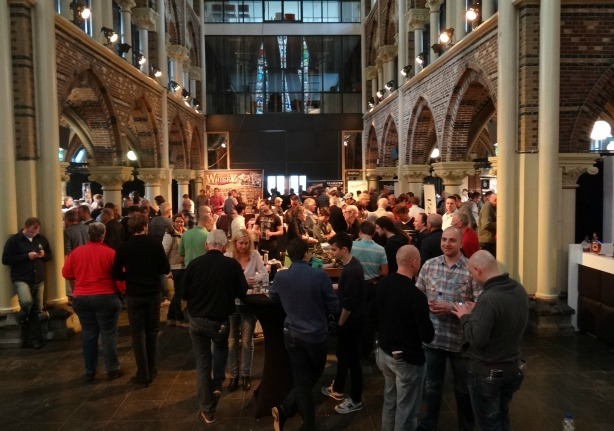 OK now that that’s settled and you are back on track, check out the 7th Whisky Weekend at the Posthoornkerk, where in addition to tastings (including a welcome whisky with your entry ticket), you can also taste whisky-related products, cheeses, or stop for music (Scottish- what else?) or cigars. Weeeelllllllll. 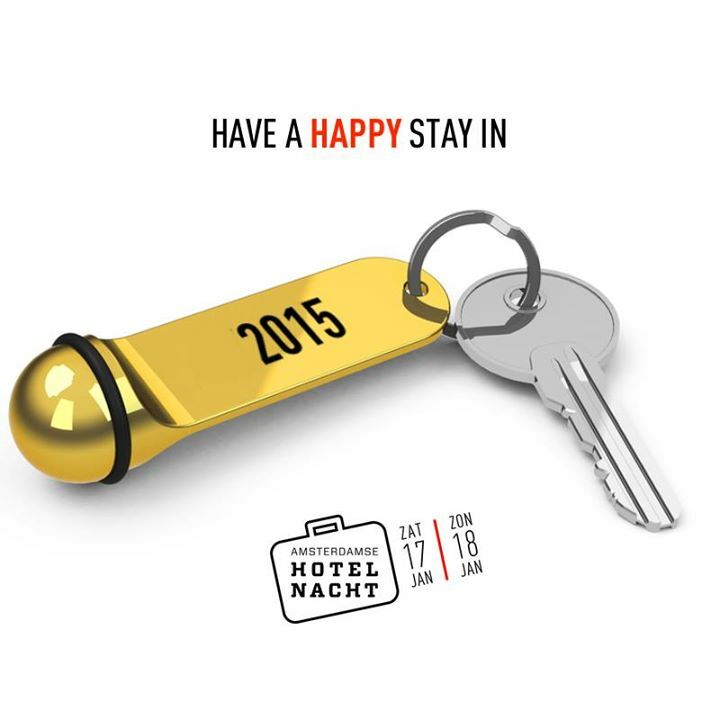 How about travelling not very far at all, but still getting the hotel experience? Can we meet in the middle with that one? Be a tourist in your own city during the Amsterdam Hotel Night, where hotels open their rooms up to Amsterdammers for cheaper than normal, so that you can experience your city as visitors do. Each hotel also runs a program of activities and events that night and into the next day, so it’s a great way to get that travel-and-experience-new-things feeling without going through that whole annoying airport headache. For those who prefer the comfort of their own bed, there is also the possibility to buy a ticket just for the events for 17.50 euro and skip the hotel sleepover. Because we’re Dutch, yeah? Tulips once ruled our world, more valuable than money or diamond…and now we are giving them away for free! 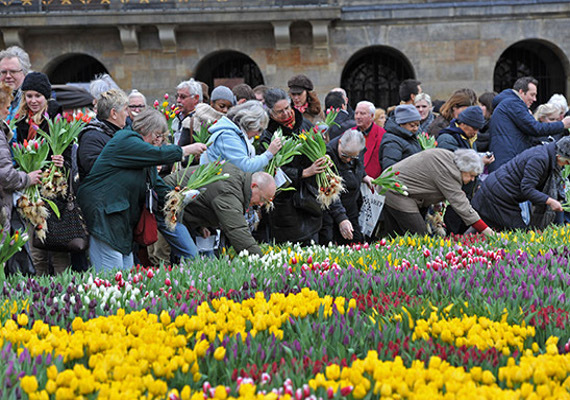 Dam Square will have a dedicated garden of around 200,000 tulips where you can pick your own tulips by the fistful. How quaint! If by smarter then you mean a little bit of soul music with your pulled pork BBQ, cheese fondue and side of burger, then the Soul Food Festival is for you. 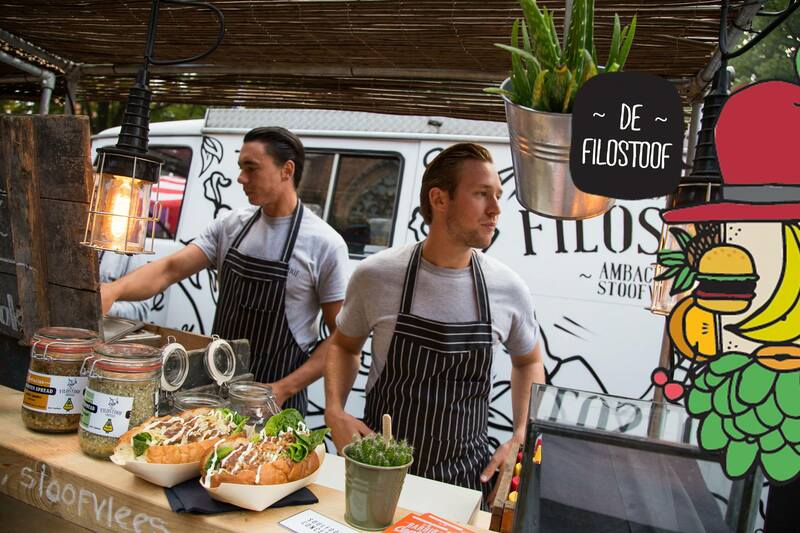 Another food truck festival, this time indoors up in the Great Wide North of Amsterdam, turning the Kromhouthal into a great big restaurant with tons of choices. And soul music, don’t forget the soul music. Sounds like it will really be worth the trek up to the North. Entry is free, just bring your appetite. You may have gone ice skating before. If not, then super, let’s do this. If you have been ice skating, then surely you have never gone ice skating like this before…75 meters in the air. 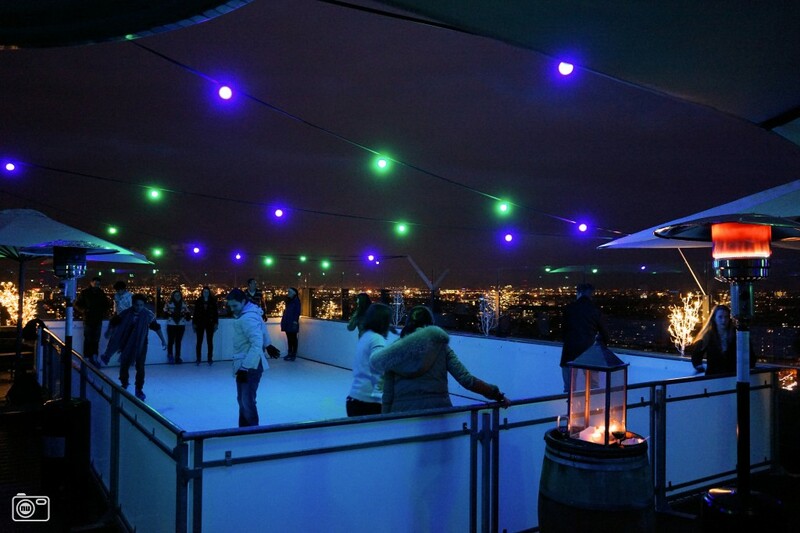 For the rest of the month the Ramada Apollo Hotel will have a rooftop ice skating rink. That’s right- 18 floors up, skate your little heart out with a fantastic view. Entry is €8,50 including skate hire and a drink. Is it Olympic-sized? No. It’s on a roof. Is it fun and novel? Yes. So get your skates laced up and hit the roof. There you have it, every reason to make or break your resolutions in the month of January. Then you can relax for the other 11 months until we do it all again next year.